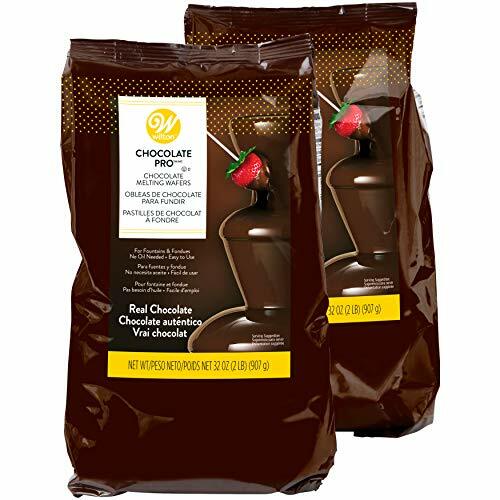 Wilton Chocolate Pro - Melting Chocolate Wafers for Chocolate Fountains or Fondue, Multipack of two 2 lb. bags, 4 lbs. Get ready for your next party with this value pack of melting chocolate wafers that is the perfect amount for the Wilton Chocolate Pro Fountain. It doesn't need tempering, so its ready to use right out of the bag, plus its smooth texture and rich flavor makes it perfect to use with fruit, pound cake and cookies, or savory treats like pretzels and potato chips. Can also be used with the Candy Melts Melting Pot for fondue. This head turner is a 4-tier fountain with stainless steel base that will impress guests with elegance and style at any special event. 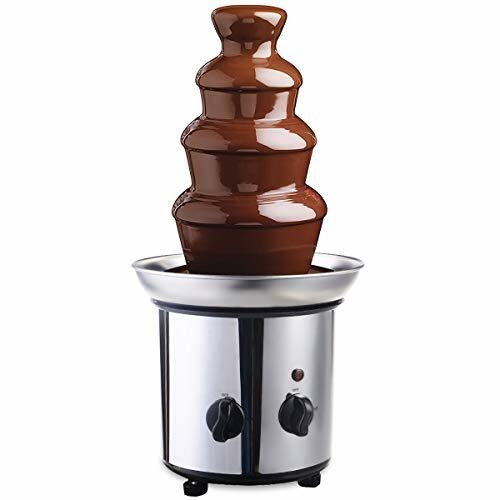 This chocolate fountain creates a cascade of sweetness that will add mouth-watering fun to any occasion. Simply pour the recommended amount of melted white or dark chocolate into the base and switch on the motor. Watch as the chocolate is carried to the top of the tower where it flows down each tier in a mesmerizing display. Provide guests with fresh strawberries, marshmallows, pretzels, cookies, and other goodies for dipping. Cheese and barbeque sauces may also be used. Easily disassembles for quick cleanup. The fountain is a beautiful addition to any dining table or casual gatherings with friends and family. Our top-rated 2 lb. 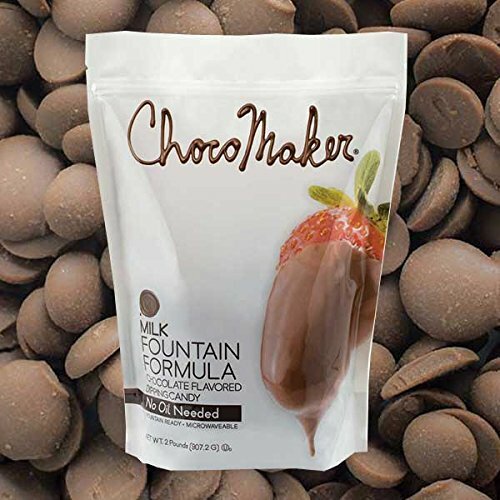 bags of flavored dipping candy is specially formulated for use in our ChocoMaker Chocolate Fountains. Just melt dipping candy in the microwave and it will be fountain ready in no time, you don't even need to add any extra oils. 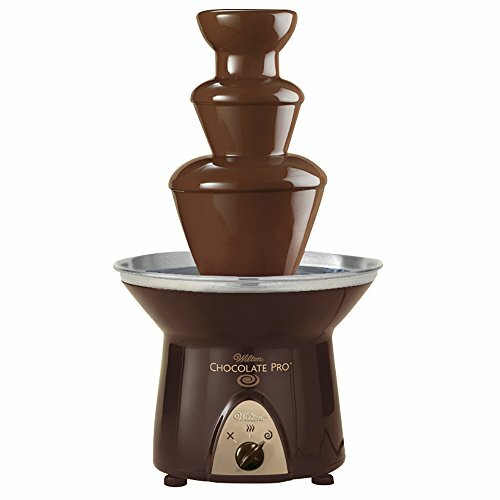 It's also great for chocolate fondue, candy making and other delicious desserts. Impress quests with elegance and style at any special event. 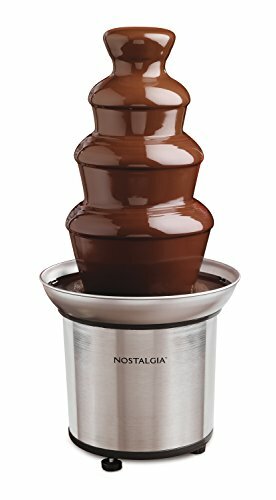 This chocolate fountain creates a decadent cascade of sweetness that will add mouth-watering fun to any occasion. Simply pour the recommended amount of melted white or dark chocolate into the base and switch on the motor. Watch as the chocolate is carried to the top of the tower where it flows down each tier in a mesmerizing display. Provide guests with fresh strawberries, marshmallows, pretzels, cookies, and other goodies for dipping. Cheese and barbeque sauces may also be used. The fountain easily disassembles for quick cleanup. Create a beautiful addition to any dining table, as well as an impressive display at events or casual gatherings with friends and family. 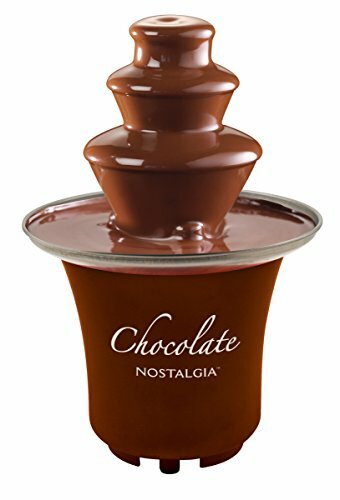 The chocolate will keep flowing and will fit on any kitchen or dining table, making it ideal for special occasions or everyday use. It creates a decadent cascade of sweetness that will add mouth-watering fun to any gathering. Use a variety of chocolates and serve friends and family delicious snacks, appetizers and desserts. 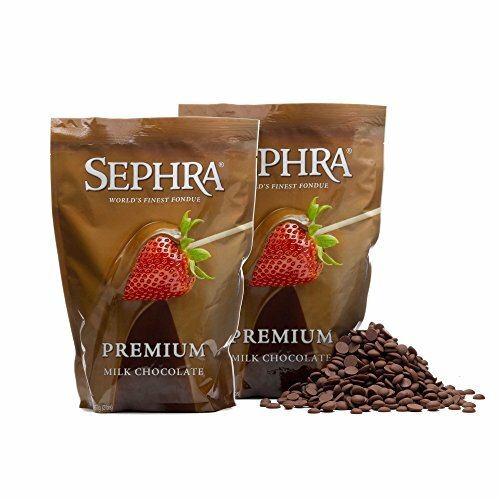 It works great with milk chocolate, dark semi-sweet chocolate, white chocolate, and butterscotch. 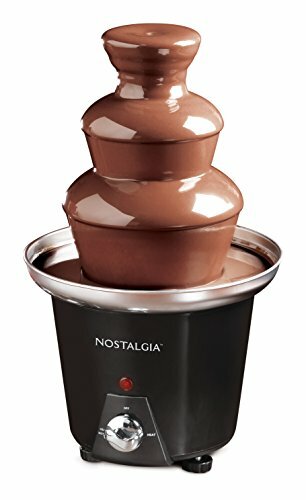 Dip strawberries, marshmallows, apple wedges, pretzels, cookies, ice cream balls, chilled peanut butter balls and more in the flowing chocolate. You may also add liqueurs for sophisticated flavors. Use your imagination and have fun! I see tons of videos on how to set up your fountains, but few on how to prepare the chocolate, so here is my version on setting them both up.